A city located off the gulf of Thailand, famous for its beaches —-Pattaya 🙂 . Most commonly known as “Phatthaya” among locals, it is a small town flooded with tourists all the year around, from all parts of the world. I visited Thailand in the month of September 2013, along with my parents and our first halt was this beautiful beach town. 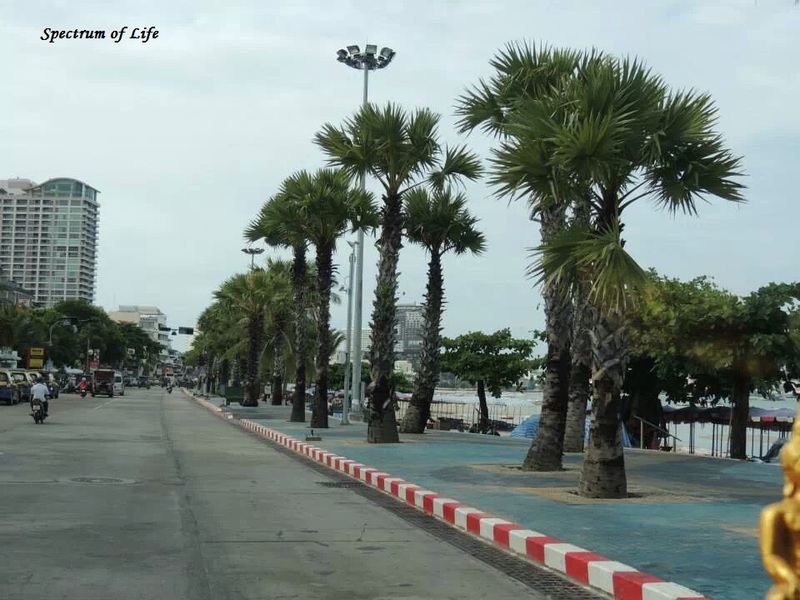 For a refreshing trip, a 3-4 day vacation at Pattaya can serve as one of your most memorable experiences. There are many things to be explored in this ever exciting city. Now, I list below some of the major attractions which are frequented by tourists, which I too dropped by. Our tour operator made us stay at the beautiful Loma Resort & Spa. It has a big pool and green-bushy surroundings inside the resort, make you feel amidst nature. So, I was very happy on entering Loma. Clean rooms, good staff and great food. Though Thai people are not much acquainted with speaking English, you will have to go an extra mile in explaining them exactly what you wish for, with actions. But for their sweet hospitality and calm demeanor, I bet you will not hesitate to do your bit. Along with us, some 4-5 people also checked in through the same tour operator. We refreshed ourselves and got ready to have some fun 🙂 . 1. The Alcazar Show : The very first sight-seeing was the Alcazar show. You visit Pattaya and you dont go to The Alcazar Show, is next to impossible. 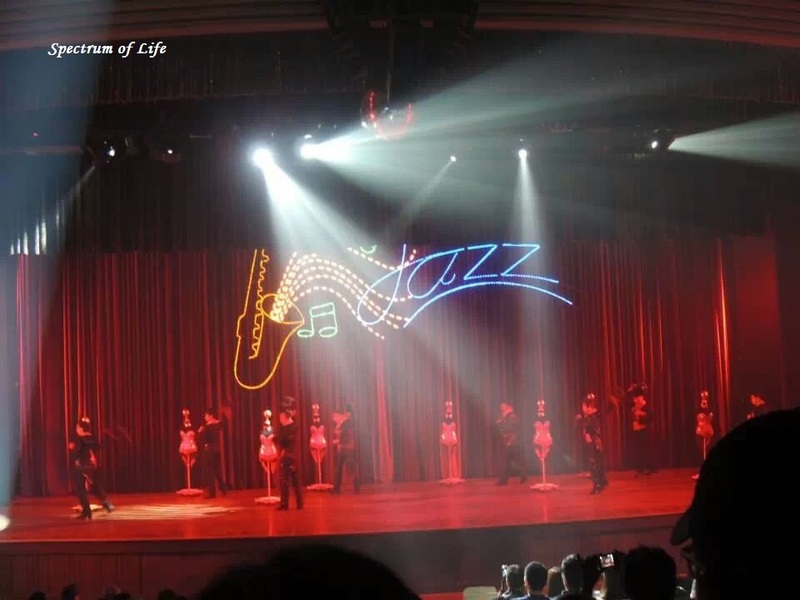 This is a globally famous cabaret show, performed by the Drag queens of Pattaya. For once, sit back and relax, and feel captivated by the jaw dropping entertainment of that 1 hour 30 minutes. Glitter & Glamour is all that signifies the show. Beautiful dancers , performing many different art forms—-starting from Thai songs, Jazz to Hindi Bollywood numbers, you can get all in one place. All so colourful and mystical. Wow, what an evening!!! 🙂 . We return back to our room and enjoy our dinner at an Indian restaurant just a meters away from Loma. 2. Coral Island : The next day we got up early in the morning , had our breakfast and headed towards the beach. As per schedule, we were to visit the Coral Island. The speed boat was waiting for us, on the beach and I, along with my parents & other tourists jumped into the boat…..and zooooommmm we go. It was around 15-20 mins ride from the shore to the island. Clear water was all that I can see upto the horizon. After reaching the coral island, each one of us was given a reclining chair to relax. Spending some time there, mom & me decided to indulge ourselves in some water sports activity. We chose the Banana ride & Jet ski. And we enjoyed a lot. I made some friends also, 2 gujrati sisters, who have travelled on their own to explore thailand. It really feels amazing to see Indian girls travelling the world all alone. Papa feeling a bit lazy, kept relaxing all the while we enjoyed the sands & the sun. After spending around an hour & half on the island, all of us were taken to a platform kind of thing in the middle of the sea, from where we can chose to go for Parasailing. Wow! !….its was my first experience and it was really awesome . Then there are also activities like the Sea walk, where you can witness different under water creatures, at close proximity. I, being a bit skeptic did not try this option though. May be next time…. 🙂 . 3. Under water World : The under water world is just so magical. That was in our 3rd day itinerary. It is the largest and most modern ocean aquarium in Asia. So, it definitely asks for a visit. It has a diverse collection of marine forms-around 4000 animals forming 200 different species, starting from sharks to small fishes, turtles to stingrays—different colors & shapes. 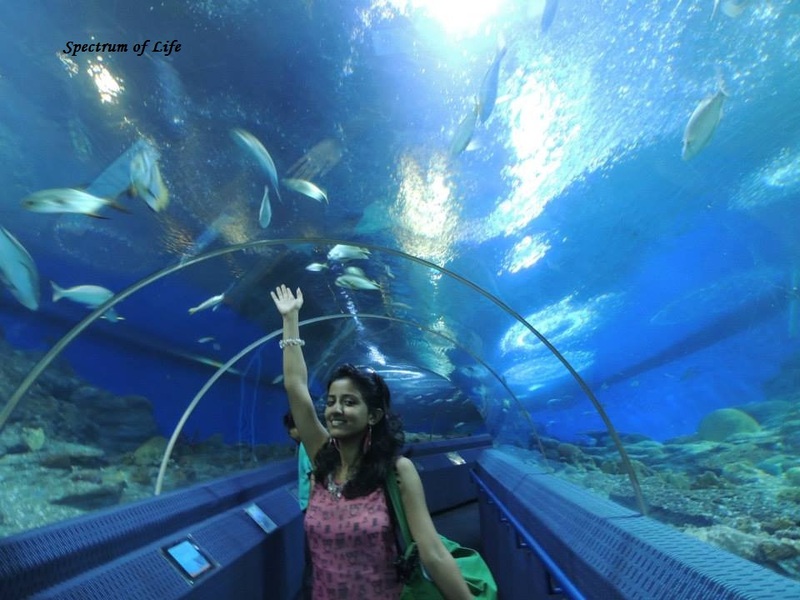 It boasts of a 100m long tunnel made of transparent acrylic, through which you can witness all these life forms. The underwater environment created is so fantastic. There is also a section specially dedicated to different sizes of Jelly Fish. Then there are small pools at the entrance where you can feed the golden fishes. A souvenir shop is also there, just outside the entrance where you can buy underwater world key rings, photo frames, magnets, to gift your dear ones back home 🙂 . 4. 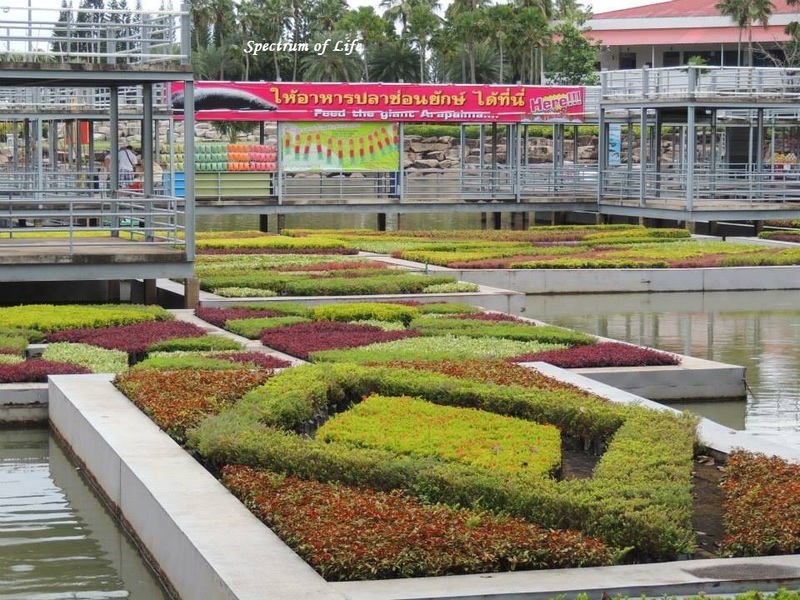 Nong Nooch Tropical Garden : This is the place which I loved the most in Pattaya, may be because I love animals & nature so much. 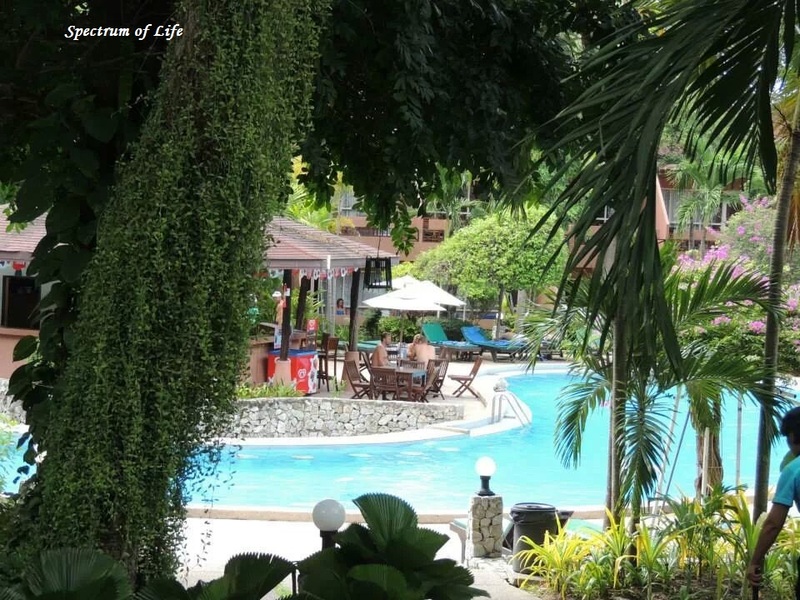 A beautiful village located just 10Km away from the city life of Pattaya. This place has been given a fine touch by artists to transform it into a wonderful tourist destination. As the name suggests, this place is a green green garden. It was totally a different ambience. The first glance of the entrance will make you feel as if you are entering some refreshingly beautiful safari in some remote village. After travelling for a few minutes, you will be stopped at a orchid garden where you can see different varities of orchids spread over a large area. Also, nearby is located a nicely decorated area with terracotta articles. Then we enter the beautiful magical gardens of Nong Nooch. The gardens are very artistically decorated with nice trimmed trees made into different shapes. After walking a few metres, there is the traditional Thai boxing show and the Elephant show. Both are differently entertaining. There are also restaurants inside the village where you can indulge yourselves in Thai delicacies. For photography, this location is perfect. Visit Nong Nooch and go back home with sweet memories. 5. Gems Gallery : This is the largest gem store in the world. With craftsmen working all throughout the day to give each piece of stone its unique shine & texture. Each piece of jewellery is stunning and the gallery ensures that it delivers the best to its customer from all over the world. And the most exciting part is that, you are taken on a journey to witness all the stages of gem extraction to polishing to finally the commercial product which is available for sale. You are also taken to the factory where artisans are constantly working on different stones to give it the perfect shape, be it ruby, sapphire, emerald, diamond, pearl, etc. The price are a bit on the higher starting from 20000 THB. But sorry, that photography is not allowed there and I had to quench my thirst for clicks just by treasuring the memories. And for that I purchased a small pearl ring embellished with stones. It was a beautiful piece in itself. And with this, the trip in Pattaya comes to an end 😦 & we proceed towards the grand city of Bangkok 🙂 . Keep Travelling & for some useful information, check out the below links.